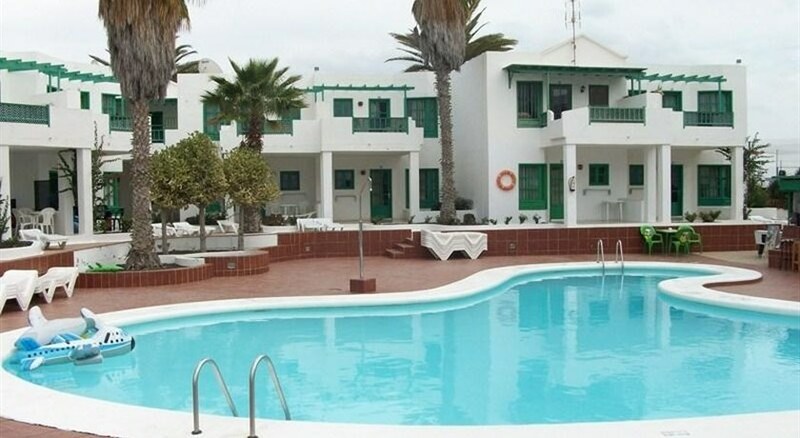 The Luz Y Mar apartments are well located between the lively resort of Puerto del Carmen and the main stretch of beach in Lanzarote. 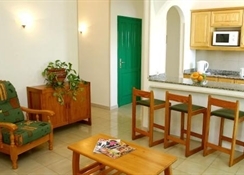 The apartments are situated just outside the hustle and bustle of the town, offering guests a peaceful stay in one of the many residential complexes, while the resort’s shops, bars and restaurants are easy to reach if guests wish to explore. The friendly Luz Y Mar complex has been recently renovated and features modern and comfortable studios to suit all guests – suitable for families, couples and solo visitors. 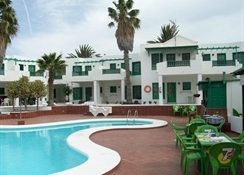 Amenity wise, the hotel has a swimming pool and a kids’ pool, landscaped gardens, sun terrace and a bar. 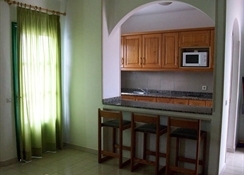 Guests can choose to cook in their apartments or explore the local restaurants in Puerto del Carmen town. Spend a day outside of the hotel and lap up the sunshine on the nearest beach, wander the pretty harbour, or head to the Biosfera shopping centre a five-minute walk from the hotel. 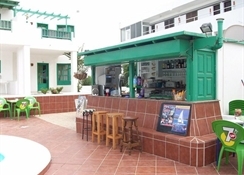 Luz Y Mar’s fantastic location is a stone’s throw from the nearest beach and pretty harbour – perfect if you like to soak up the sunshine on the sand, get involved with watersports and dine on the waterfront as you admire the bobbing boats. A five-minute walk from the hotel is the Biosfera Shopping Centre if you want to browse the local stores. 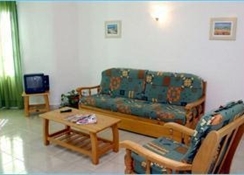 The One Bedroom Apartments consist of twin beds and a sofa bed in the living room, with an extra pull out bed to accommodate an extra guest if required. The inviting swimming pool has a children’s section and terrace equipped with sunbeds - perfect for a post-swim snooze in the sunshine. There is an open-plan kitchenette where guests can prepare any meals and enjoy the views from the private balcony or terrace. Cleaning and new linen and towels are provided once a week. plan kitchenette which allows guests to cook their own food as and when they please. On-site there is a pool bar which serves refreshing drinks and snacks for those after refreshments during the day. Outside of the hotel in the surrounding resort, you’ll find an array of local dining options and lively bars if you’re planning an evening of entertainment. The Luz y Mar incorporates a fabulous outdoor pool and solarium wherever guests can relax. Make the most of the property’s fantastic location. You're barely 600 m from the beach as well as the harbour; good for a pleasant stroll on the maritime parade or a quick swim in the Atlantic Ocean. The Biosfera plaza is just five minutes’ walk. The hotel offers billiards and there is a golf course nearby for golf enthusiasts. Booking.com can accept online payments. Cash needed at site.